Why Automobiles Should Use Black Boxes Like Airplanes – What the Heck is going on?!? Here’s something many are not aware of: automobiles contain black boxes. Apparently they have for a few years now. We’ve all heard of black boxes in airplanes. It’s a data recording device that can be used if there’s an accident to try to figure out what happened. The fact that these are in cars is a fascinating idea, and it’s one I’m sure not everyone would want used. Driving a car is a huge responsibility. How many times have you been on the road only to have “that guy” zip by you weaving in and out of traffic. The unfortunate reality is, many drivers feel they are untouchable. They feel they are such skilled drivers and can zoom all over the place. After all, since they’re so skilled, why should they have to drive through traffic like everyone else? Accidents happen. They can happen even to the most skilled drivers. There are so many factors that can cause one to happen. No matter how conscious a driver is to his or her environment, all it takes is one error on their or another’s part. What does this have to do with black boxes? Just as in plane crashes, the idea of a black box being used in automobile crashes would be great. If an accident were to occur, it should be known why it happened. True story: a few years ago I was driving home in the evening down a two lane road at about 50 m.p.h. Another car on a side road to the right thought they could make a left turn in front of me before I went by. They were wrong. What we’ll never know is why the driver made that decision. Was it simply poor judgement? Did they have a long day and were driving erratically before reaching that intersection? Were there any problems with the car? This is where a black box could give some answers. There will likely be those strongly opposed to this data being used. The way I see it, you should take complete responsibility when behind the wheel. I don’t drink and drive so my driving won’t ever be erratic due to a foreign substance. I don’t drive if I’m completely exhausted. People need to understand they are driving a potentially massive killing machine. It’s not just the driver’s life that is put at risk if a person is not in the best state to drive. There’s also the fact that sometimes accidents happen due to problems with the vehicle. There’s also the chance that a person may need this evidence to help defend them. I was surprised to see a news report dating back to 2005 on CNET. A truck driver had collided with a police car and killed an officer who was assisting a disabled vehicle. He was accused of traveling at least 80 m.p.h. but the black box reported he was traveling at the legal limit of 70 m.p.h. Black boxes have been in our vehicles since at least 2005? How did I not know this? The other concern is who has access to this data? Is it something that could be transmitted without a driver’s approval or would a court order be needed to access the data? Can the device be fully trusted to always record completely accurate data? I’m not one for lessening our rights to privacy. There’s already so much we do that is recorded everywhere. It just seems that we all need to take responsibility for our actions. Driving is a privilege, not a right. If the idea that your driving habits are being recorded results in safer driving, is such a bad idea? 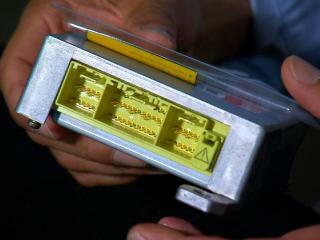 Check out this RECENT VIDEO from CNET to get an update on black boxes in cars and some of the concerns arises.